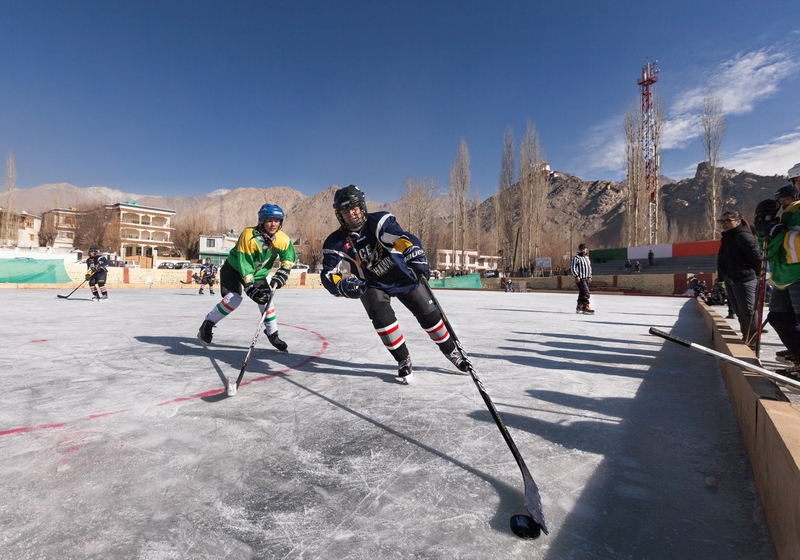 Ladakh (India) In recent years, the tropical country of India has been watching the growth of an audacious ambition - ice hockey. 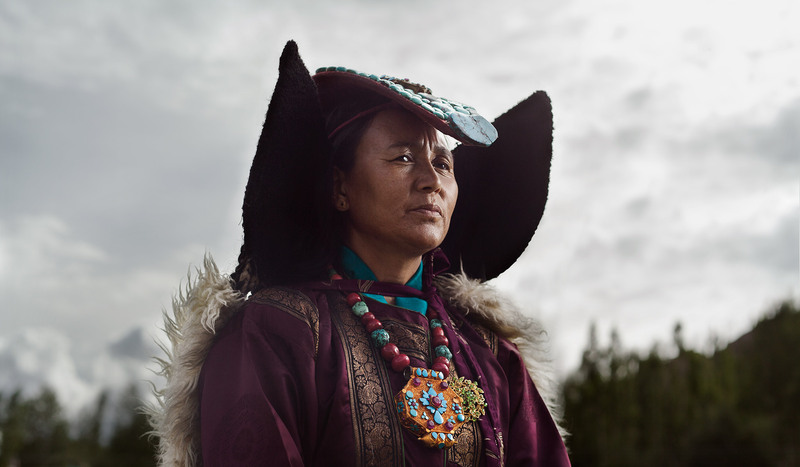 While winters in the Himalayan region of Ladakh are sleepy--when temperatures drop as low as -25 C, farming and tourism disappears--there is life teeming on the frozen lakes. 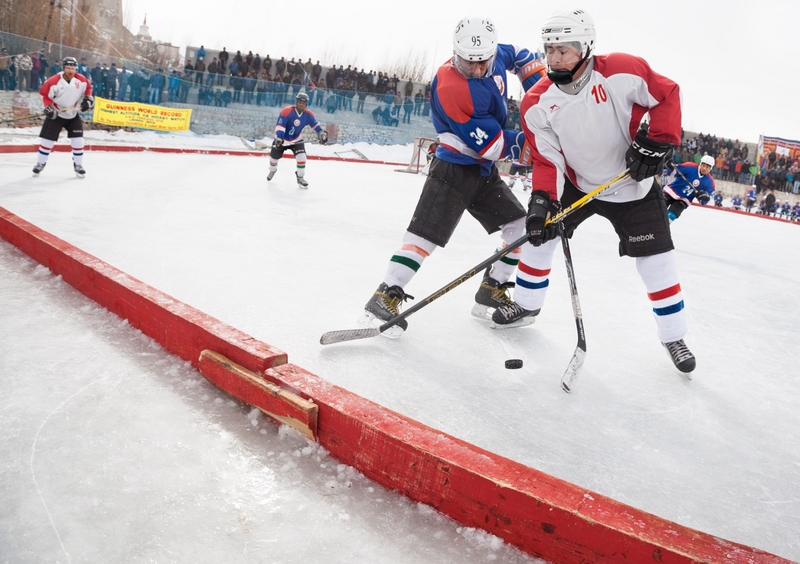 Locals can be seen ice skating, often with shoes converted into skates by strapping on metal blades. 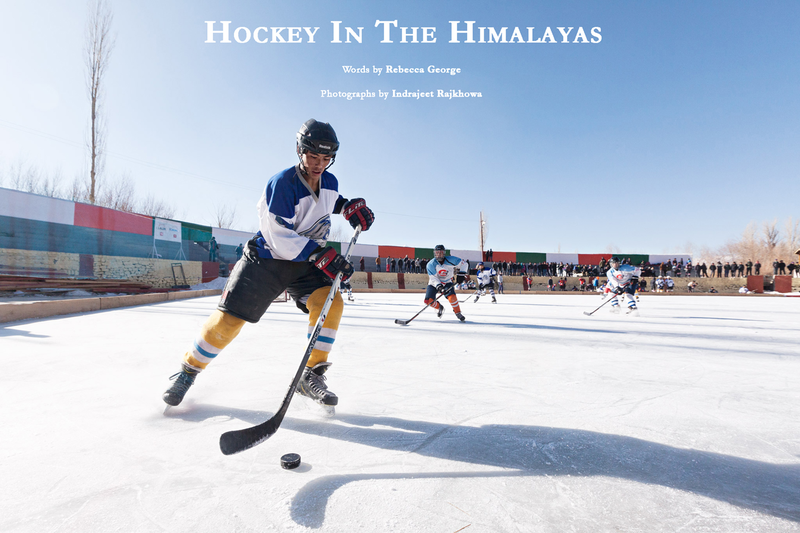 It is from humble beginnings like this that the sport of ice hockey has come into existence in India. 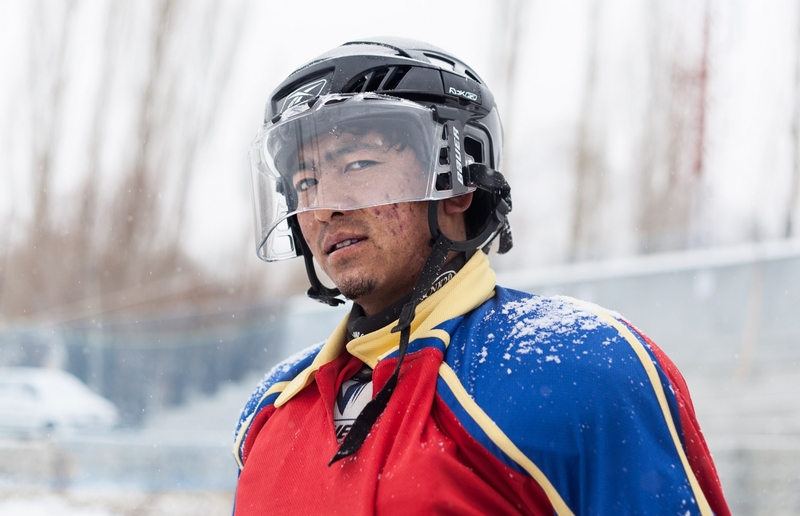 When you skate at an altitude of 11,000 feet , every breath is a struggle. 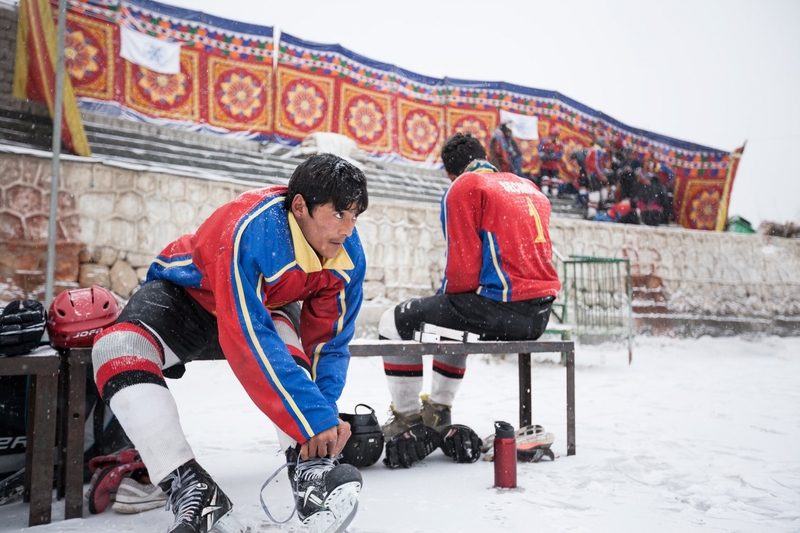 The excitement in the frigid air is undeniable during the ice hockey season in Ladakh, with the regular sight of people climbing buses and trees to get a vantage point for an ongoing game. 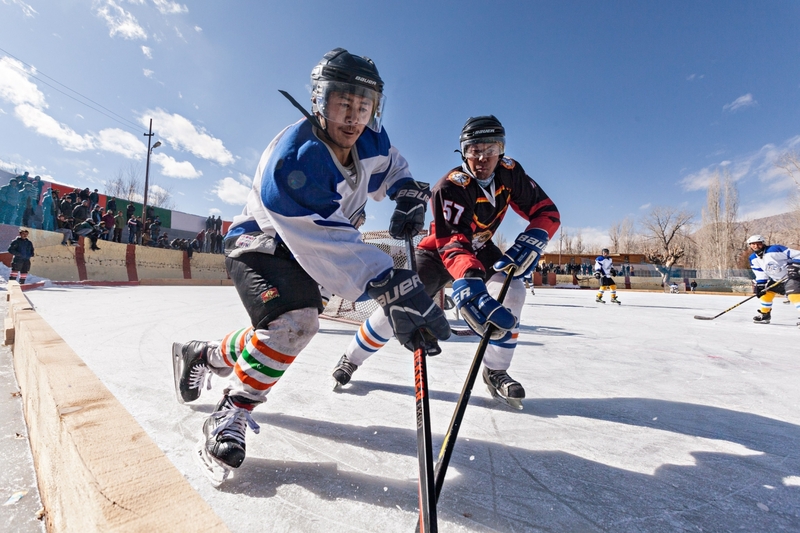 For visitors to high-altitude regions, acclimatization is very important and most doctors advise you to return back to lower grounds if your body cannot keep up. It would be easy to dismiss India’s progress as unimpressive without taking into consideration the disadvantages that press upon the players. 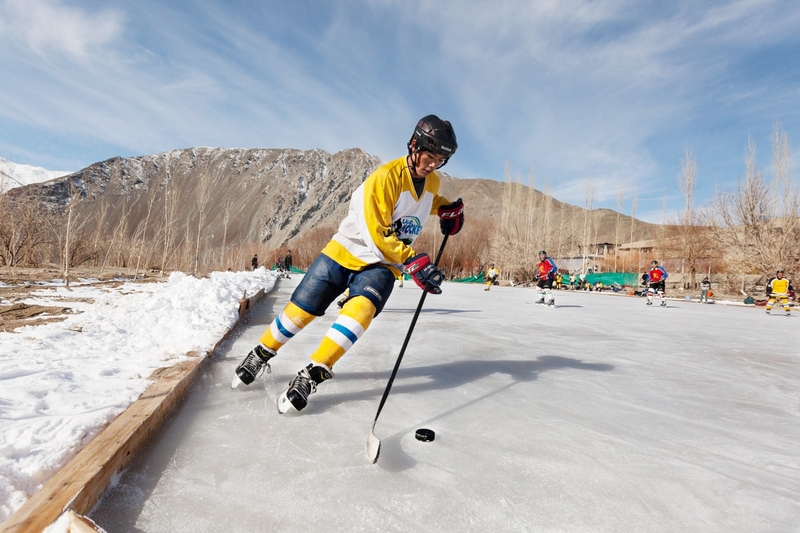 While competing countries play the international tournament after practicing for months on indoor ice rinks, India’s practice is limited to the two months of winter, when ponds and lakes in Ladakh freeze. 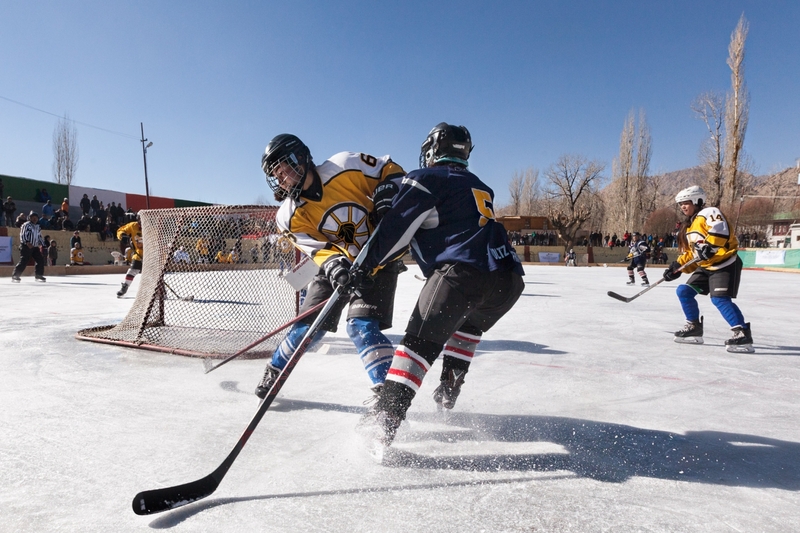 Due to this, players face inexperience on international-standard ice rinks, which leads to a shift in their game. 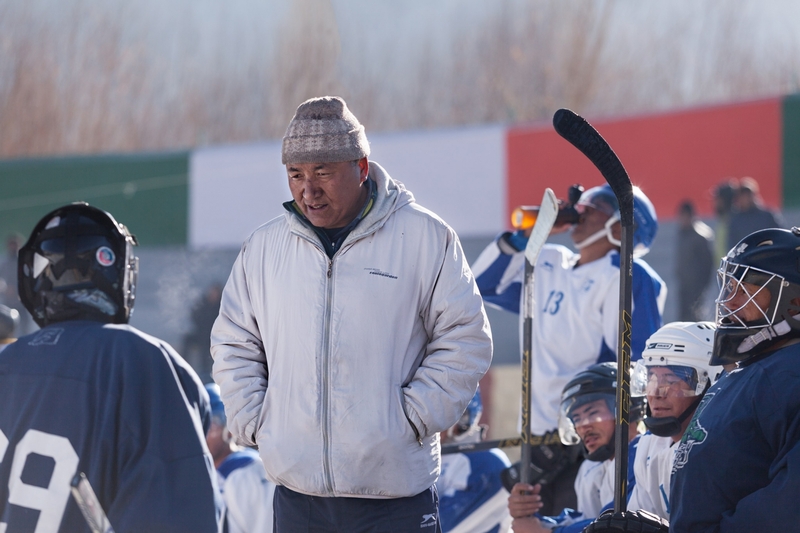 With the intent of acclimatizing their game, players travel to countries like Kyrgyzstan for short spells of practice before tournaments. But perhaps the heaviest weight on the players is the money involved to represent the country internationally. 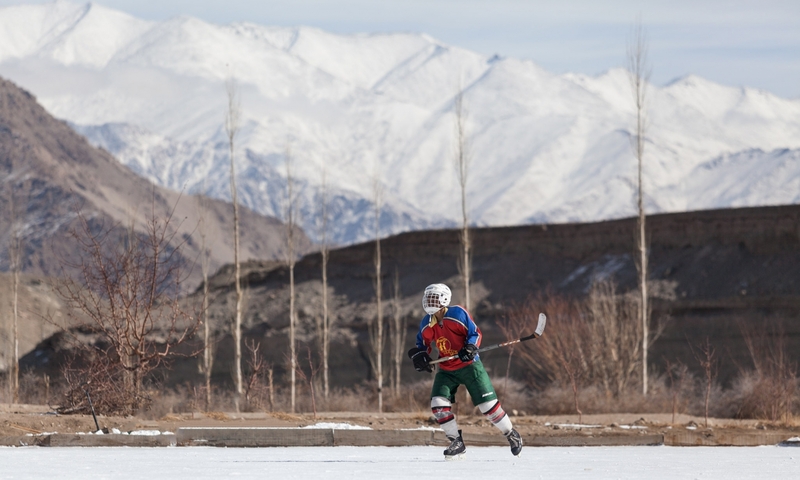 With only a small population of India playing the game, there is no funding currently being received from the government, and thus often requires players to dip into their own pockets. 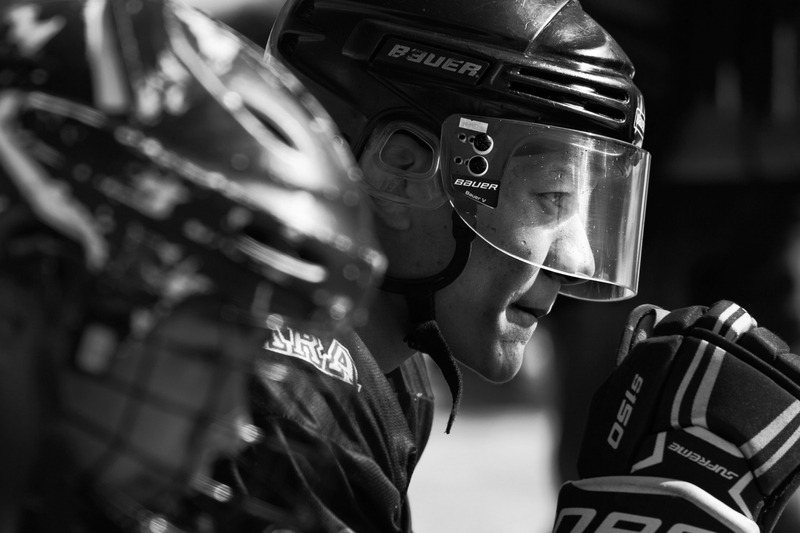 “There have been times when I’ve thought that I should quit ice hockey—I feel terrible when I think there is no future in it, and my family has already spent so much money to support me play internationally. 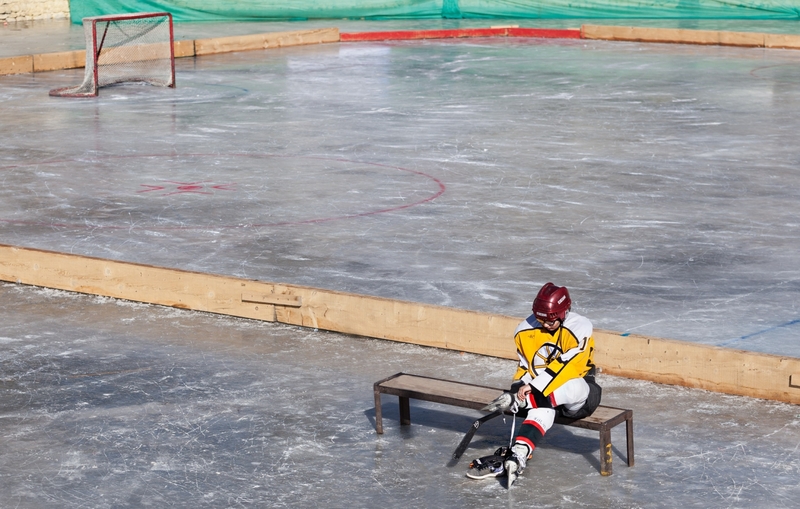 But when I step on the ice, there is an indescribable freedom I feel. 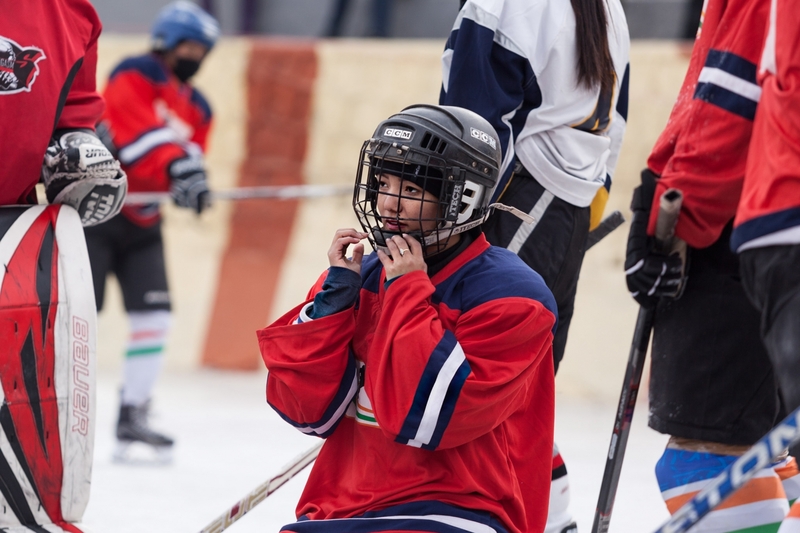 It makes me realize that I love this sport too much to leave it” says Tsewang Chuskit, who won the Most Valuable Player award in the 2017 IIHF Women’s Challenge Cup of Asia - Division 1. 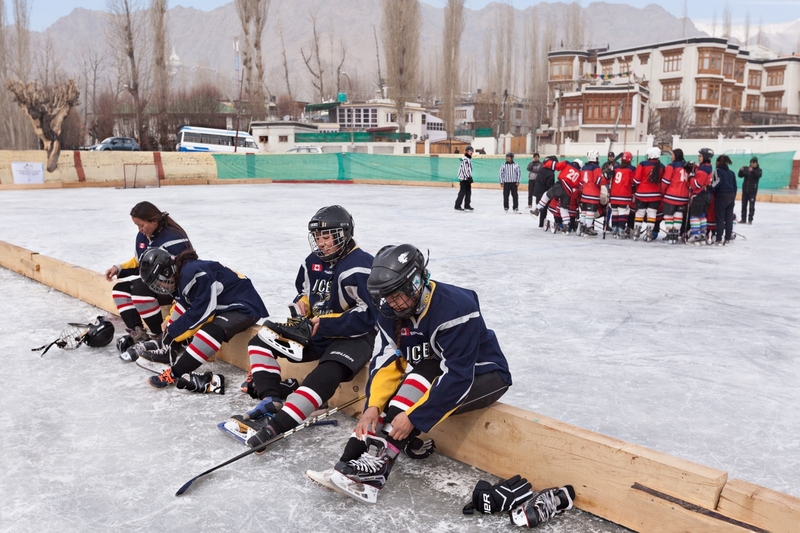 The cost of new gear consisting of skates, knee pads, hockey sticks, touch up equipment varies from 52,000 to 1.5 lakh rupees (about 650 euro to 1800 Euro)—prices that players from modest Ladakhi houses cannot afford. 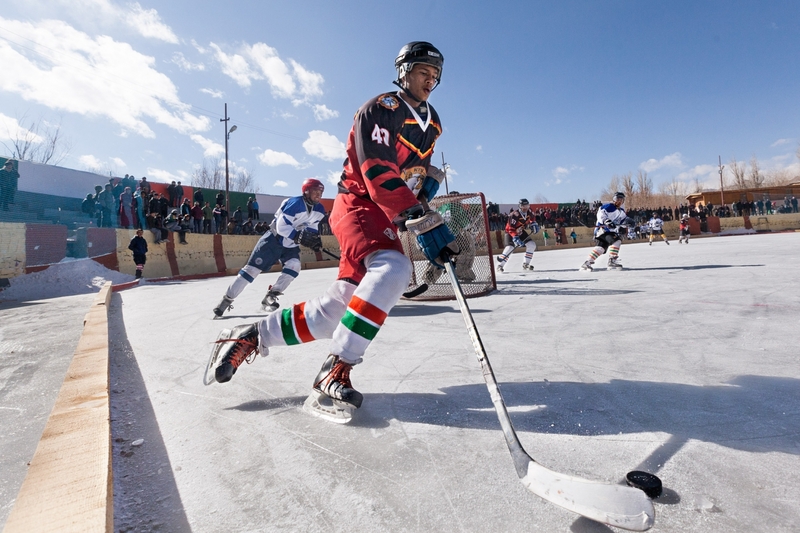 In the last decade, fueled by the support of the hockey community worldwide, the sport has seen tremendous growth. 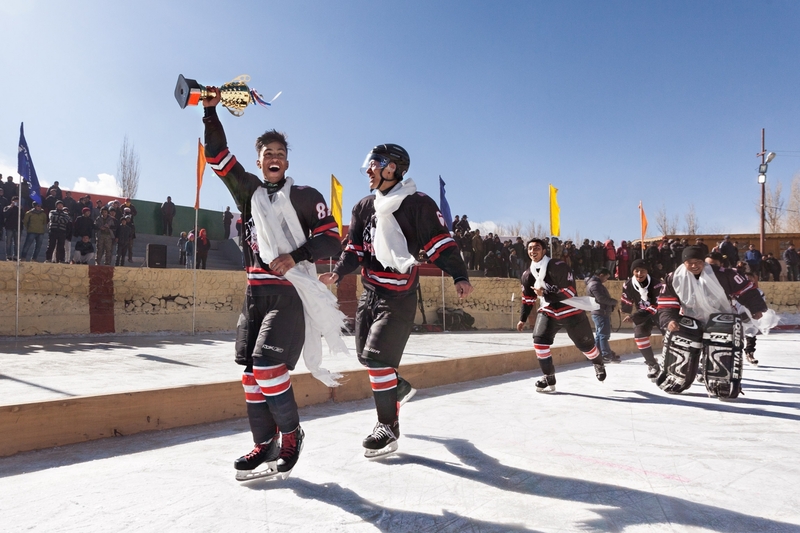 Rough equipment has been replaced by generous donations of second-hand hockey gear; gear that players from modest Ladakhi houses cannot otherwise afford. 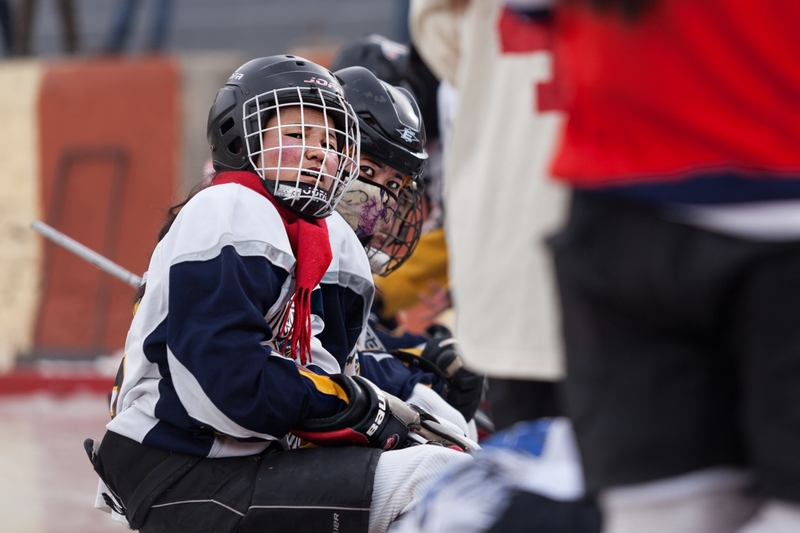 Amateur coaches from countries like Canada and USA devote months to bettering India’s players. 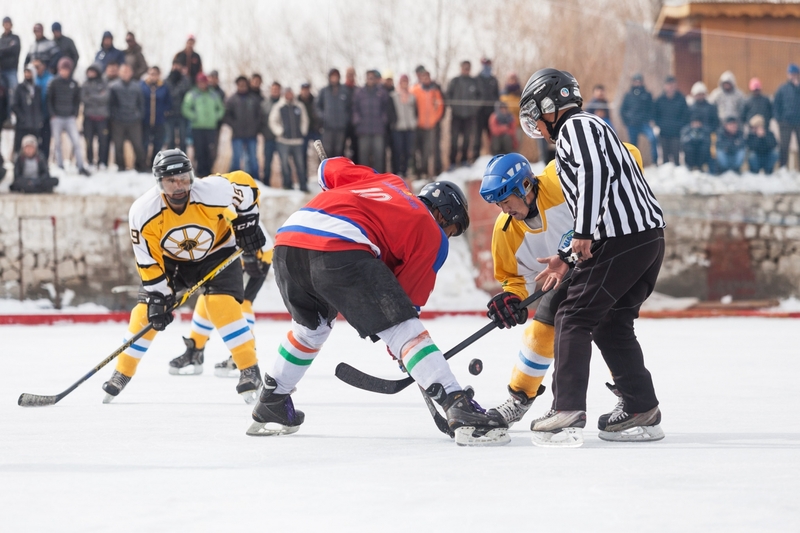 While ice hockey in India still vies for funding from the government, in 2017, over 3000 supporters from across the country and the globe enabled India to compete in the 2017 IIHF Challenge Cup of Asia by donating over 32,35,000 Rupees (50,000 USD). The campaign was led by an online publication named The Logical Indian (thelogicalindian.com). Along with the money, hundreds of messages of cheer, pride and encouragement poured out to the players from people rooting for them. 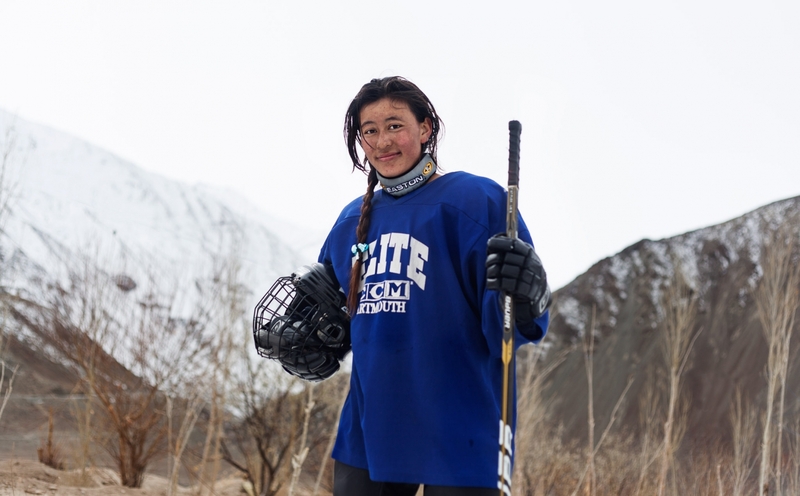 In January 2018, four-time Olympic gold-medalist Hayley Wickenheiser and former National Hockey League (NHL) defenseman Andrew Ference travelled to Ladakh with brand new gear for the women’s team, along with their coaching expertise. 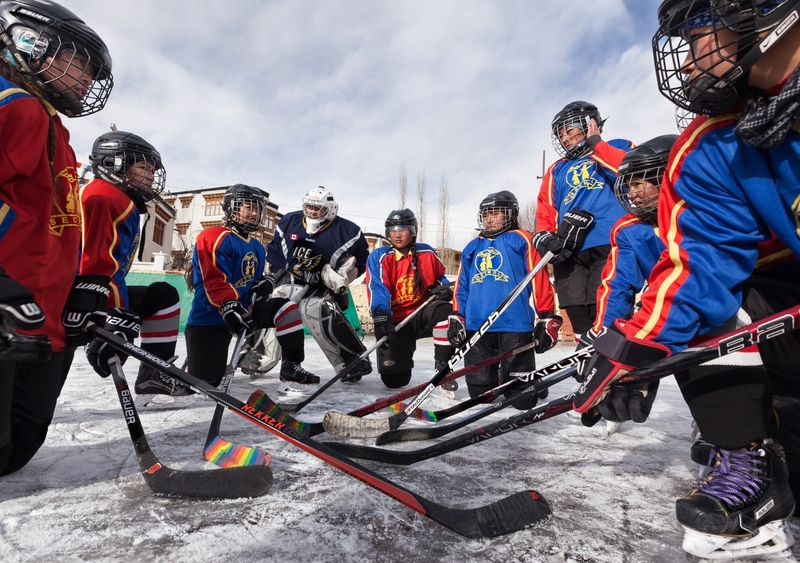 "I don't think I've done anything as powerful as this experience in terms of impact, in terms of purely for the love of the game," Wickenheiser said. 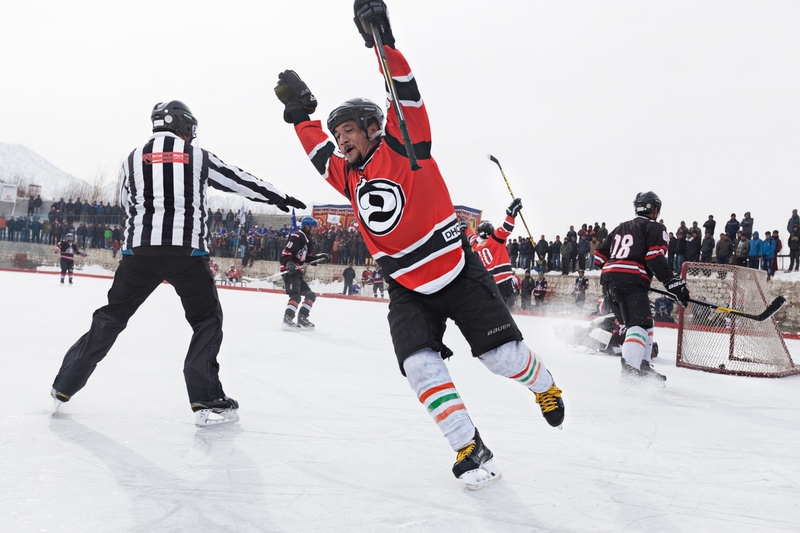 This also led Canadian Prime Minister Justin Trudeau to extend his support to the team, presenting them with Canada's ice hockey jerseys during an event at the Canadian High Commission in Delhi in February this year. 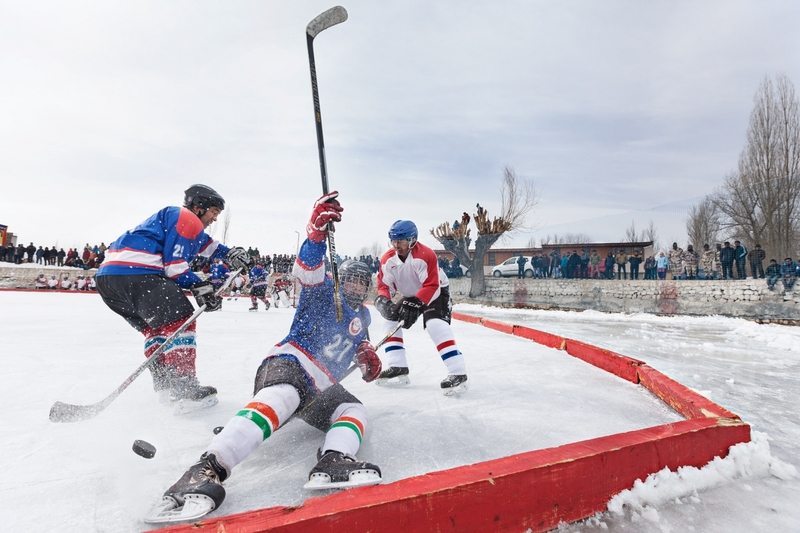 Here are signs that ice hockey in India has a future, no matter how jagged the journey ahead is. Is this the happy ending that the team hoped for? 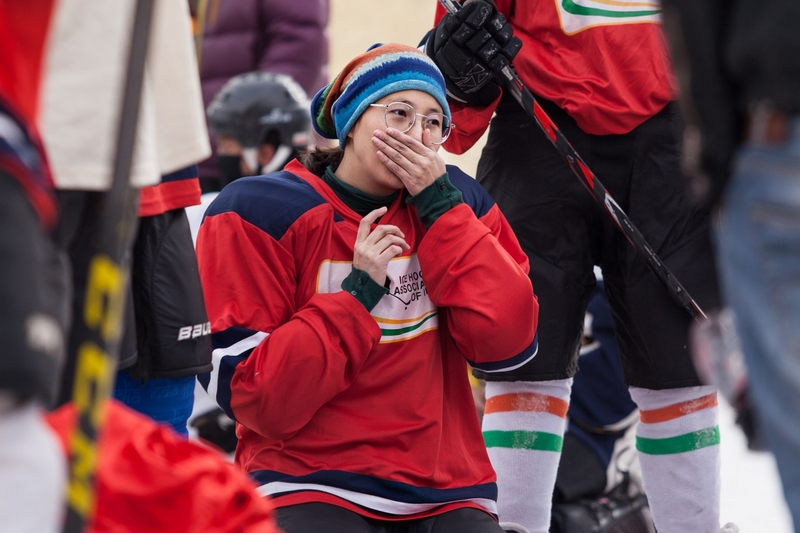 As I watched the record moment when the hooter sounded the end of the India vs. Malaysia game in the 2017 Women’s Challenge Cup—players yanking off their equipment, weeping with jubilation as they embraced each other—I realize I had already learnt the answer.